Another proper AKS74 build, original factory finish with custom matched Moly Resin (barrel and receiver). 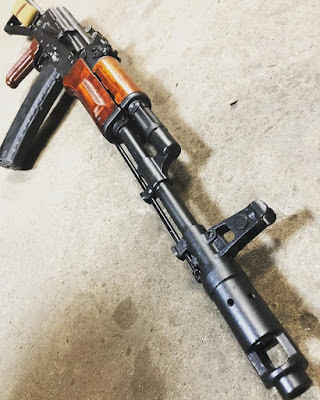 Built on Childers Guns LLC receiver with an Ak-Builder.com barrel. We have a few Bulgarian and Romanian kits left, give us a call to get pricing for your next project.